No, really, that’s what they say. 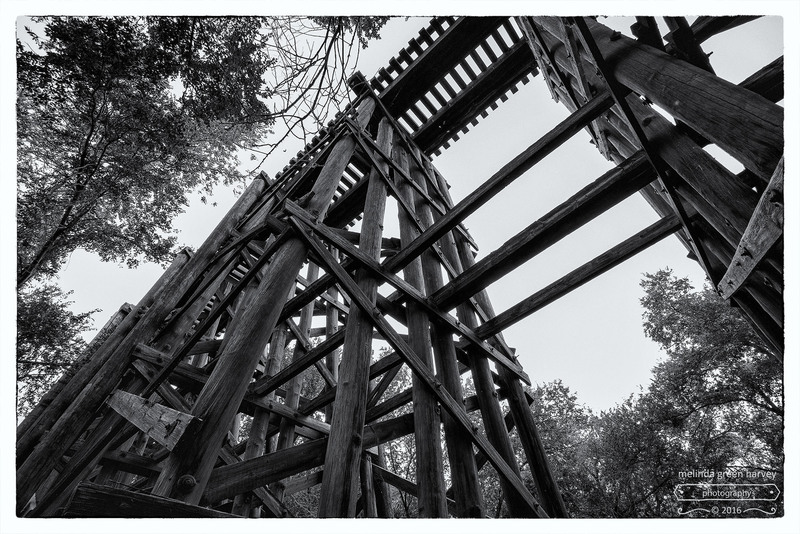 The best part, other than this very cool trestle, was when this woman stood in a low spot that was still damp from a flood recently, and said there was an “odd smell” right there, which she described as “musty,” and that she was pretty sure the smell was evidence of ghosts. Maybe I’m just too literal, because I sort of thought the odd, musty smell was probably from the flooded ground and waterlogged plants and so forth. The way I see it, at least one of us is wrong. Posted on October 2, 2016, in Photography and tagged 365 photo project, black and white photography, downtown, haunted, Hell's Gate, Leica, lubbock, melinda green harvey, monochrome, one day one image, photo a day, photography, postaday, texas. Bookmark the permalink. 4 Comments. Love this haunted or not. Prefer no haunts or as some up here say “hants”. Great shot. I love the places less visited. Thanks! This place was pretty great; the light was awful when I was there, so obviously I need to get back there!